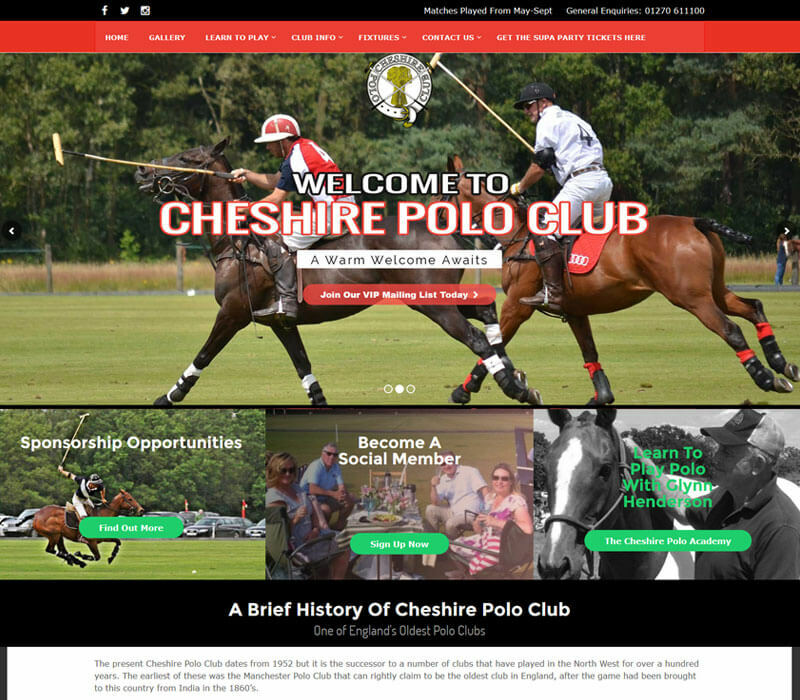 The present Cheshire Polo Club dates from 1952 but it is the successor to a number of clubs that have played in the North West for over a hundred years. The earliest of these was the Manchester Polo Club that can rightly claim to be the oldest club in England. In 1906 the Manchester Club moved to Ashley where it remained until 1939 when it amalgamated with the Wirral Club and moved to the mid-Cheshire Club. When the war broke out the club had reached the finals of two Hurlingham Polo Association Official Tournaments – The County Cup and The Junior County Cup. The cup we play for today in the National 8 Goal every July is The Junior County Cup.